This is duet No. 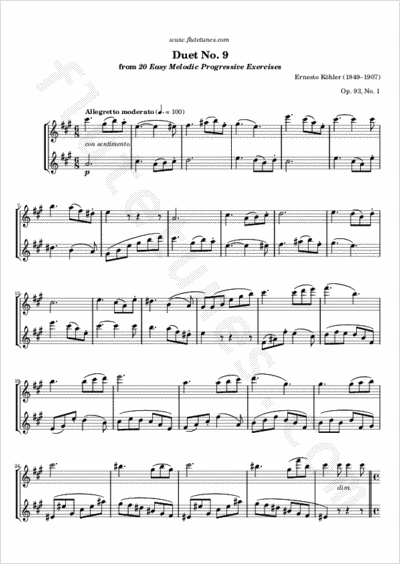 9 from the first volume of Twenty Easy Melodic Progressive Studies by Ernesto Köhler. It is composed of three parts: an Allegretto moderato, a plaintive (flebile) central section, and a final restatement of the opening theme.